Where are you from? Your profession? I live in Pennsylvania. Born and raised in Philly, but now live in the coal region, about eight miles from the Yuengling Brewery. I'm a retired school administrator. I directed special education programs and school services for several school districts. What's the most interesting thing that ever happened to you on a paddling trip? Another tough call. I have to go with the springs. Up here, a spring is where you fill your water bottle while hiking. I was blown away when I paddled into the springs on my first trip on the Suwannee. 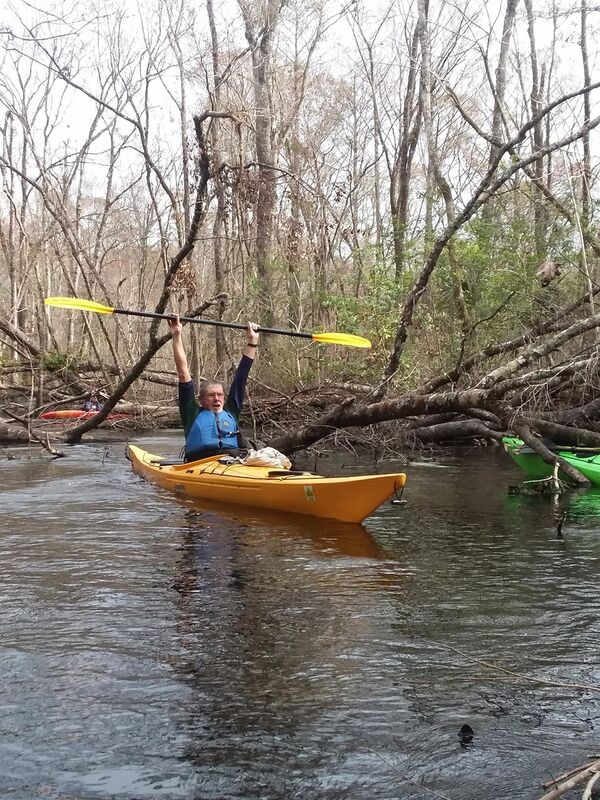 Which Paddle Florida trips have you gone on? The Suwannee, Ocklawaha, and Withlacoochee, but they won't be my last. Can you describe a Paddle Florida trip highlight? I already talked about the springs, but another highlight were the monkeys on the Ocklawaha. Another thing that stands out was the thunderstorm on the last day on the Ocklawaha. The howling tailwind blowing us through two-foot waves, in the rain, and over barely submerged pilings was a real blast. I know not everyone enjoyed the experience, but again I had a blast. What advice do you have for folks considering a Paddle Florida trip? This is an easy one: GO. A Paddle Florida trip is the easiest and safest way to get on the water and experience Florida, and its people, at its best. If you live in Florida and haven't seen it from the water, you haven't really seen it. When you do, it might just change your life.